YouTube, Facebook, Snapchat, Vine (etc.) have one undeniable thing in common – these are the places on the internet (particularly mobile internet) that people go to when they are bored. However, at $120 per year ($9.99 US per month) being YouTube Red bored comes at a price. YouTube Red (Red) is YouTube’s new ‘pay-to-remove advertising’ business model which simply promises no ads for the same YouTube videos. This proposition raises many strategic questions like – why would YouTube, who generate billions from advertising, seek to cannibalise their main revenue stream? or how will YouTube compete with other subscription services vying for peoples ‘spare time’? These questions are worth posts on their own. However, the most interesting question to address is – Will people pay for YouTube? YouTube is incredibly popular owning in part to the rise of self-made YouTube stars. These include stars like gamer/commentator PewDiePie (40M subscribers), comedian Jenna Marbles (15M subscribers), pranksters BFvsGF (7M subscribers) and Minecraft guru StampyLonghead (7M subscribers) who have risen from obscurity to virality to be household names. In relativity, these stars in a YouTube sense are ‘bigger than Bieber’ and are exclusive to YouTube. 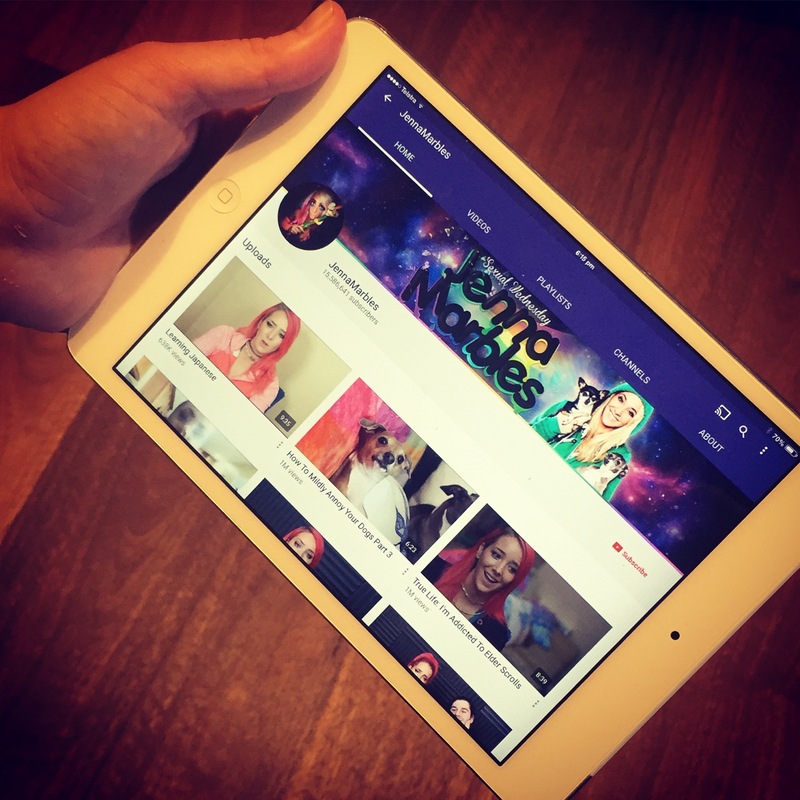 They have most appeal with millenials (who are arguably the advertisers’ target audience – particularly brand advertisers…) and loyal fans could be expected to pay a fee to get ad-free access to their stars’ regular content updates. The strategic juxtaposition here is that the people who are most likely to be willing to pay to remove ads are predominantly same people advertisers most want to reach. This fact alone could bring YouTube undone. Let’s face it… YouTube advertising is annoying. YouTube is the ‘Free to Air’ (FTA) TV of the internet but unlike FTA advertising has yet to evolve much beyond 30sec-5min video-advertising before a clip starts, ‘skip’ options, poorly integrated in-content video advertising and pop-up links. FTA TV has matured over time to seamless advertising in-content and perfectly timed ad-breaks (e.g. prior to suspenseful moment) to ensure viewers resist channel surfing. The hindrance of YouTube advertising alone could be a reason to sign up for YouTube Red but if advances such as greater content integration of advertising or product placement mature, the FTA option may still appeal to the majority of viewers. YouTube Red appears to offer the same videos for a price but Red could become much more. The appeal of YouTube is that it is an excellent mobile product (one of Google’s best) and therefore in its current form is more suited to short-form video to fill in downtime (on a bus etc.). The future of Red could be to compete in longform with Netflix et al., in music with Spotify/RDIO including offline content, in live video against Periscope/Meerkat or as a live sports destination. It could be the killer app for all-round media consumption. In this way YouTube Red represents more than a new business model ‘having a go’ at subscription pricing – it is a full scale transformation of YouTube as a destination site. YouTube is so compelling as a free product that paying a substantial fee of $120 per year is likely to be on the expensive side for a good number of the viewer base. Many viewers are probably already paying for cable, Netflix, Spotify etc. – another subscription may mean some viewers are paying $100+ per month for entertainment. In press releases surrounding the Red announcement, YouTube has openly said it still believes in its advertising business and so its free content should still remain compelling. With UX improvements to support advertising and free content there may be little impetus for the average user to pay – ever. 2. You wouldn’t pay for Facebook…would you? The scenario I opened with (paying for something you use to stem boredom) is a not-insignificant factor in the appeal of YouTube Red. For many YouTubers watching a clip here and there could be substituted with a Facebook update, a Vine binge, a SnapChat, a Yik Yak, a Tweet-storm etc. Would you pay any significant amount for any of these boredom breakers? Arguably, Facebook rates highest for many in the boredom breaker category but competition for this type of attention is so hot that a premium boredom breaker would need something differentiated. The online media industry will be watching with great interest (particularly players like Facebook, Spotify, Netflix) to see how YouTube Red performs. At best, a strong take up of subscriptions could transform YouTube into an ‘all-round media’ destination. A bad outcome could be leave YouTube with a less attractive advertising platform by virtue of the most attractive customers having self-selected out of ads, but not enough of them taking up Red to make up the difference. The worst outcome for YouTube would be that in trying grow both the subscription-based and advertising-based business model simultaneous could lead YouTube to being inferior at both.